Soft and subtle. 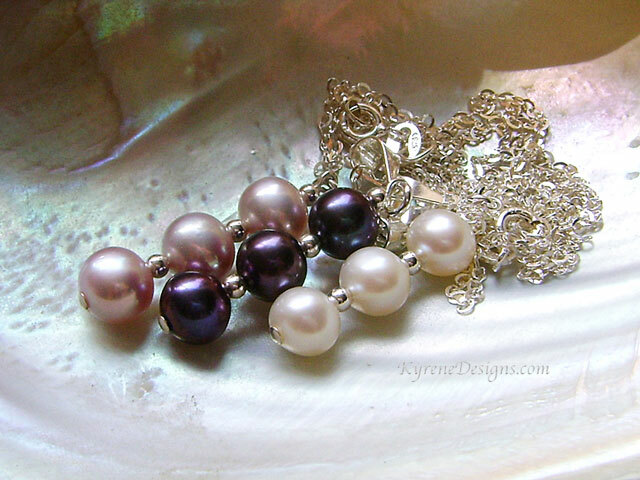 Natural pink beautifully matching pearls on this pretty pendant - with tarnish resistant argentium silver beads for easy care. 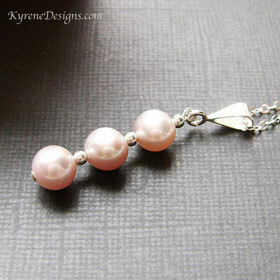 Recommended with Mia pink pearl earrings. Length: pendant 3-4 cm. Pearl size 8mm. 18" sterling silver fine chain.